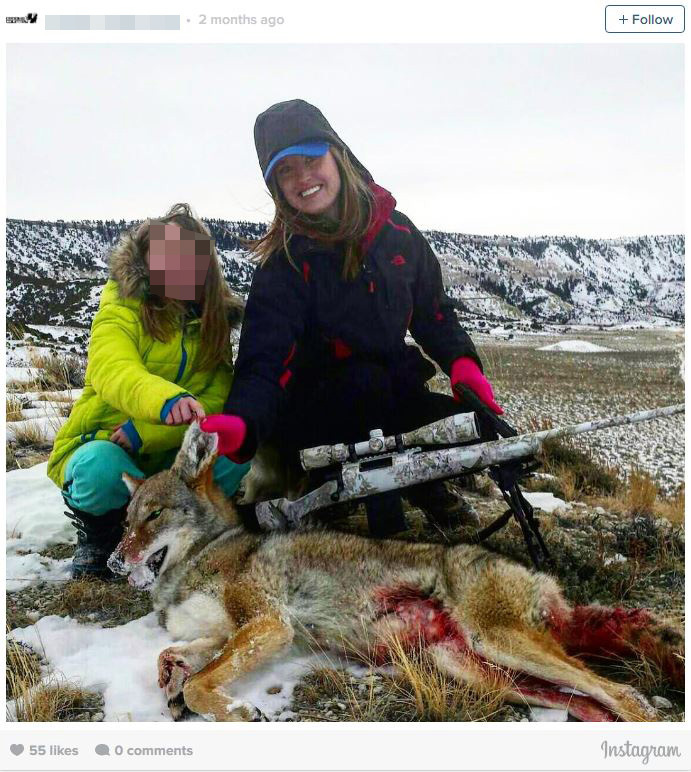 Hunting enthusiasts are facing backlash online for sharing pictures of their kills alongside their children. While many hunter mums are determined to get their kids in on the act from an early age, it seems commenters on their social media pages think otherwise. 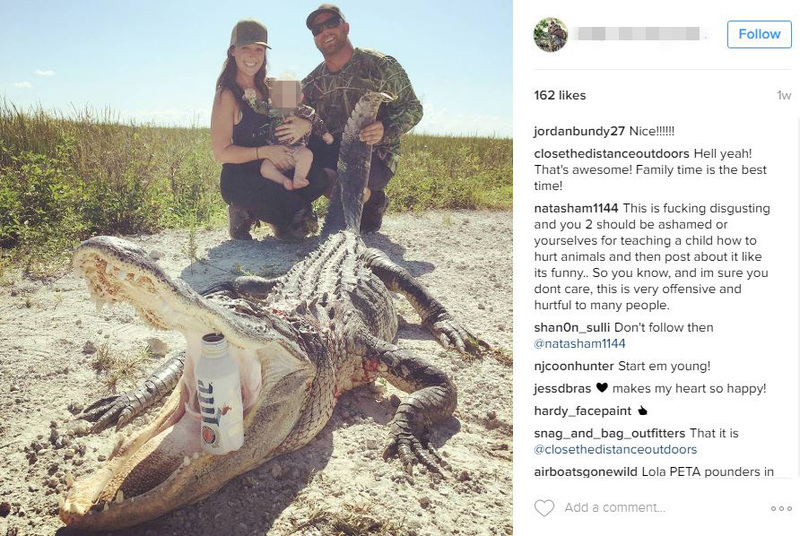 Among the receiving end of the backlash is Shannon Sullivan, who posted a photo of her and her partner with their six-month-old son at opening weekend of hunting season posing with a large alligator they caught. Animal-rights groups also object to the youth hunts, TIME reports. 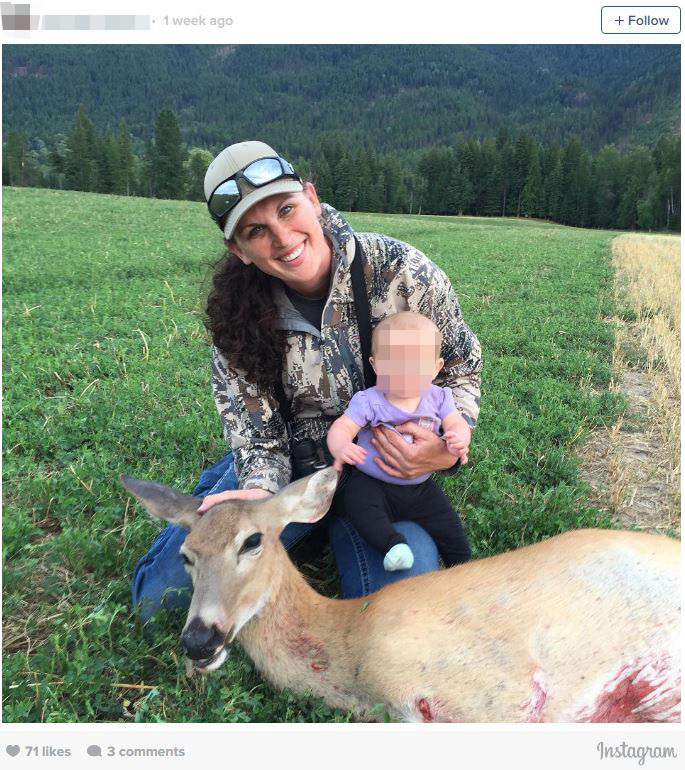 Among those criticised is hunter Amanda Lowrey, who recently took her daughter out to pose with a deer she caught. But Lowrey has defended her hunt. I have a deep respect for the animals I hunt and the life they give. We hunt for provision, to feed our family. While I also take pride in my successes, we do not just hunt for fun. I am also proud of the fact that a lot of $ out of our pockets goes towards conservation and wildlife management EVERY YEAR. The criticism comes as 12-year-old Aryanna Gourdin, from Utah, sparked outrage with gruesome pictures of her standing over a giraffe she shot dead in Africa. She was taken on the trip by her dad, Eli. She has vowed to ‘never stop hunting’ despite a torrent of abuse after she gloated of her kills on safari on Facebook. The surge in young hunters has begun to worry people on social media, claiming that subjecting children to hunting at a young age is ‘child abuse’. But if, like Lowrey, these parents hunt for provision and to feed their family, is it really so terrible?